Update! He LOVED soccer camp! Seeing his smiling face and watching him get outside of his comfort zone to follow instructions and play with the other kids made my mama heart so happy. Who knew my boy could dribble a ball like that! The coach we worked with, coach Sarah, was so patient and sweet with the kids, I tried to talk her into becoming our new nanny! In sort, soccer camp was one of the most fun things we've done to date and I'm so excited that next year my daughter will be old enough too! This is the first year, now that we have a three year old, that we're thinking about trying a sport. Well, we did try gymnastics (is that a sport?) but you're supposed to follow directions in gymnastics so it wasn't a good fit for us. 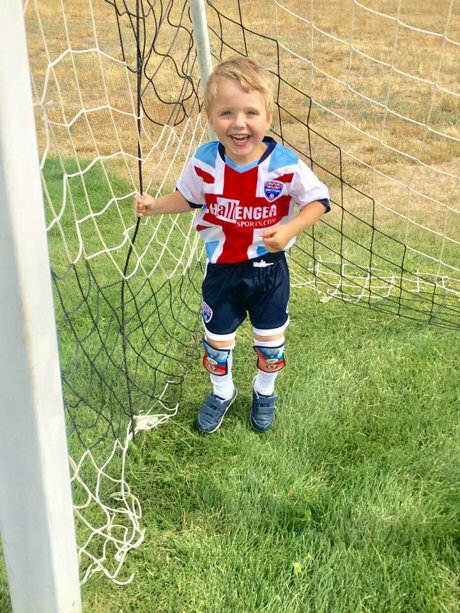 With how much my little man loves to run, I was excited to come across a soccer camp with "First Kicks" classes for 3 year olds, that has a special offer for my readers (details at the bottom of this post). And just look at how cute those little guys are in those soccer uniforms! While we have never yet done a camp through Challenger Sports, we will be enrolling for a week or two this summer and would love to see some familiar faces join us! They offer camps for older children as well, with the three year old class lasting an hour and classes for older children stretching up to 3 hours per day. 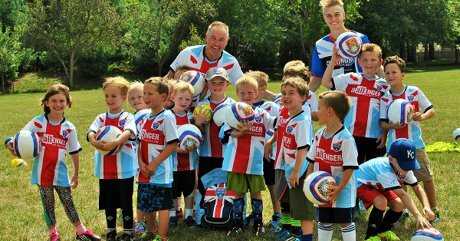 In addition to a fun experience learning soccer skills, these British Soccer Camps also promote character development and cultural education. The Northern Colorado camps will be held at City Park Field in Fort Collins, Eastman Park in Windsor, Loveland Sports Park, Montfort Park in Greeley, Milliken Athletic Complex, as well as in Berthoud, Wellington, Lyons, Firestone, and Longmont. Click here to view the full schedule of soccer camps in Northern Colorado. I spoke with a representative of Challenger Sports to confirm that children with various needs and abilities are welcomed, and coaching staff is understanding of children who will need parental assistance in the program. 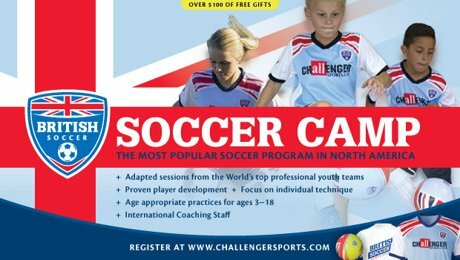 If you have concerns about whether the camps are a good fit for your child, please reach out to them directly at info@challengersports.com. REGISTER FOR CAMP & GET A JERSEY, BALL, T SHIRT, NEW SKILLS APP AND 20 FREE VIDEOS!